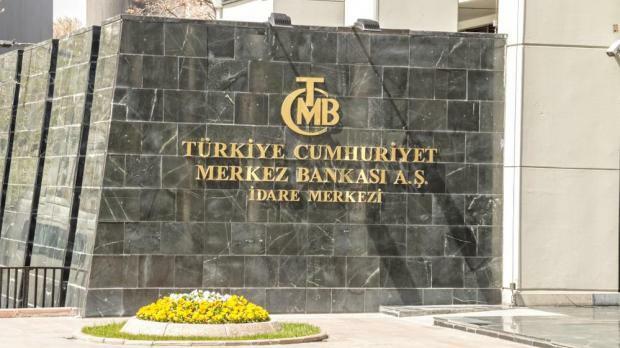 Given the 625 basis point (bp) front-loaded hike in September, the ongoing strengthening of the lira due to Pastor Brunson's release and subsequent signals from the US on lifting some sanctions have all been firming optimism that the geopolitical risk for Turkey may finally be improving – it is expected that the Central Bank of Turkey (CBT) will hold rates at 24% at the next meeting. However, given the noticeable deterioration in the price-setting behaviour as observed by the big inflation surprise in September and forward-looking expectations, a further adjustment in monetary policy should not be ruled out. The lira has outdone its peers since early September thanks to the central bank's reaction in the form of a sharp rate hike, resulting the currency to be the highest yielding in the emerging market space in nominal terms. In addition to, the new program is a step in the right direction, as it acknowledges the need for a soft landing and improvement in external imbalances while anticipating strong fiscal performance and a return to fiscal discipline. The lira has further strengthened in recent weeks in line with the emerging market bounce and better news flow on political issues including the release of the US Pastor, statements from the US that some sanctions could be lifted after the release and finally a more appeasing US tone for reducing Turkey's imports of Iranian oil before restarting US sanctions in November. All this points to improvements in the geopolitical depiction that will likely support capital flow outlook. Recent sovereign supply and strong US participation with 60% up from the Treasury's previous bond issues, demand for Turkish risk remains in place. Consumer prices in September recorded the highest monthly inflation since the 2001 Turkish financial crisis, pulling the annual figure to 24.5% from 17.9% in August. Core inflation also increased from 17.2% a month ago on a yearly basis to 24%. With the vast pick-up in price pressures and broad-brush increases in all major price categories, the continuation of the exchange rate impact and strengthening price pressures as evidenced by annual Producer Price Index inflation widening above 46 per cent, headline Consumer Price Index is likely to rise further in coming months. Moreover, given oil prices being under pressure lately because of supply-driven factors, inflation outlook will likely remain challenging for Turkey. According to the CBT's latest expectations survey, year-end inflation is expected to rise to a 24.22% versus an estimated 19.61% in September. This inflation outlook should increase pressure on the CBT. The possibility of a further hike is high given that the actual real interest rate has fallen into negative territory again. Turkey’s risk is still fragile due to the current inflation uptrend along with other ongoing macro vulnerabilities as well as low reserve adequacy, implying the importance of keeping the rate buffer strong. Overall, following a front-loaded hike last month that helped support the central bank's credibility and the recent performance of the currency, it is expected that the CBT will remain on hold this month. However, a deteriorating inflation outlook with a spike in forward-looking expectations should imply that there might be need for additional measured policy tightening to push the actual real interest rate towards positive territory again.